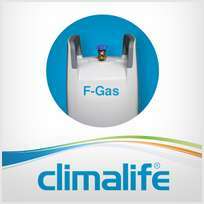 Celebrations took place at last night’s 2015 RAC Cooling Awards with Climalife winning the award for Refrigeration Product of the Year Component or Accessory for their F-Gas Solutions mobile app. 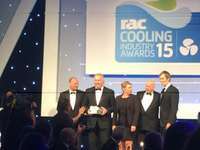 Against some tough competition, Climalife are proud to announce that they have made it through the first stage of the prestigious RAC Cooling Awards 2015 and are finalists in two categories. The East Anglican Refrigeration Society (EARS) hosted their second trade show on 21st May 2015. Climalife were among the many industry specialists exhibiting at the event, offering visitors the chance to catch up on the latest air conditioning, refrigeration, heating and ventilation solutions. Have you visited our Downloads section? Did you know that our website features a Downloads section which you can access to view a wide range of technical documents? After registering your details you will be able to view our vast range of downloadable data including Product Data Sheets, Material Safety Data Sheets, product brochures and other useful articles relating to our range of products. Climalife UK have added Opteon® XP44 (R-452A) to its range of refrigerants and the product is available and in stock now. Opteon® XP44 is a non-ozone depleting, low Global Warming Potential (GWP) hydrofluoro-olefin (HFO) based refrigerant that has been developed as a replacement option for R-404A in low and medium temperature transport refrigeration applications. 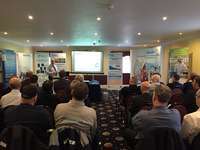 Opteon® XP44 is suitable…..
Climalife 2015 Technical Seminars - a huge success! 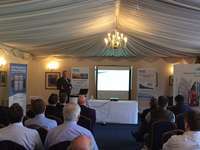 We would like to thank all our customers, partners and industry colleagues for taking the time to join us at one of our 6 recent Climalife Technical Seminars.